The 2014 NMC Technology Outlook for Australian Tertiary Education: A Horizon Project Regional Report is a collaborative research effort between the New Media Consortium and Open Universities Australia to help inform Australian education leaders about significant developments in technologies supporting teaching, learning, and creative inquiry in tertiary education. Following is the executive summary describing the project. This report was produced to explore emerging technologies and forecast their potential impact expressly in a tertiary education context. 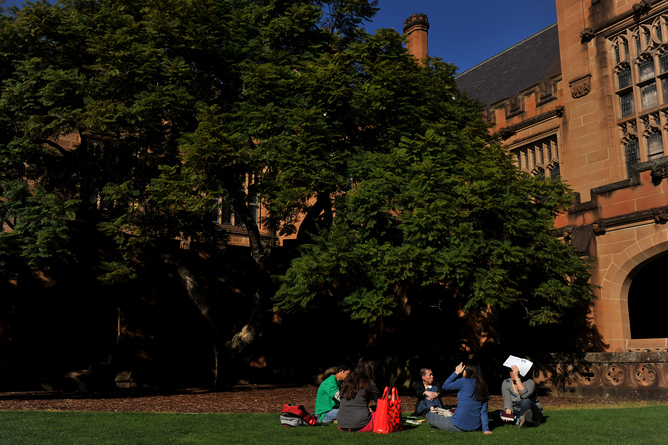 In the effort that took place from January through March 2014, a carefully selected panel of experts was asked to consider hundreds of relevant articles, news, blog posts, research, and project examples as part of the preparation that ultimately pinpointed the most notable emerging technology topics, trends, and challenges for Australian tertiary education over the next five years. systematically identify and describe emerging technologies likely to have a large impact on education around the globe. 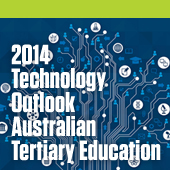 The 2014 NMC Technology Outlook for Australian Tertiary Education was produced to explore emerging technologies and forecast their potential impact expressly in a tertiary education context. Known as the 2014 Horizon Project Australia Expert Panel represents a range of diverse perspectives across the education sector. The project has been conducted under an open data philosophy, and all the interim projects, secondary research, discussions, and ranking instrumentation can be viewed at aus.wiki.nmc.org. The precise research methodology employed in producing the report is detailed in a special section found at the end of this report. The 12 “technologies to watch” presented in the body of this report reflect our experts’ opinions as to which of the nearly 60 technologies considered will be most important to Australian tertiary education over the five years following the publication of the report. The choices of our experts overlap in interesting ways with those who contributed to the NMC which looked at technology uptake from a global perspective, and the 2013 NMC Technology Outlook for Australian Tertiary Education, which provides perspective on how the technology discussions in Australia have shifted in the past year. All three of these projects’ expert panels — a group of 145 acknowledged experts — strongly agree that mobile learning and online learning, in some form, will likely tip into mainstream use within the next year — a trend that spans education across much of the world. While there are several other overlaps between two of the panels, there are some differences between perceived time-to-adoption horizons. For example, the 2013 Australian panel and the 2014 Higher Education panel felt that learning analytics and the mining of student data would enter the mainstream within a year, while the 2014 Australian panel placed the topic further out, at two to three years away. That is not to say that learning analytics has slowed in Australian tertiary education, but different facets of it have emerged in the past year, such as adaptive learning, adding more complexity to the topic that will require more time to explore and implement at scale. Both the 2014 Australian panel and global Higher Education panel agree that games and gamification are gaining traction in teaching and learning, but expect it will take two to three years to fully come to fruition. While games and game elements have proven to make learning more engaging for students, some panel members discussed concerns about educational games matching the high quality of games that are produced for entertainment. Individual institutions, such as Griffith University and their “World Trade Game,” have developed successful models to emulate. an extremely important topic in Australia, where the government has published numerous guidelines on the effective development and use of open educational resources, and individual institutions such as Open Universities Australia, La Trobe University, and Adelaide University have launched significant open content initiatives. The nuances of the technologies and their associated adoption horizons featured in this report are specific to Australian tertiary education, even if there are commonalities with other reports. Likewise, the key trends (Table 2 and pages 17-18) and significant challenges (Table 3 and pages 19-20) selected by the 2014 Australian panel distinctly reflect the current drivers and obstacles facing tertiary education in Australia over the coming five years. The top three trends and challenges from those longer lists are included in the related tables in this summary, and are organised by time-based categories described in the corresponding sections of this report. conveys the immense value of open educational resources and open-source educational platforms in the continent — a movement that is expanding access to high-quality learning materials for all Australians. Horizon Project panels in general have agreed that trends like these are clear drivers of technology adoption; the 2014 Australian panel especially saw such a linkage. At the same time, these panels of experts also agree that technology adoption is often hindered by both local and systemic challenges, which are grounded in everyday realities that make it difficult to learn about, much less adopt, new tools and approaches. All three panels agreed that the digital fluency of lecturers and professors is a great challenge, although the solutions are clear. Digital media literacy is not nearly pervasive enough in initial education programmes or continuing professional development for faculty. In order for emerging technologies to be creatively leveraged by students in classrooms across Australia, professors and instructors need to be confident and effective in applying them. Adequate professional development is one key component, but more important is that academia set expectations for the basic skills of the professoriate. Without changes in expectations for modern university teachers, even when faculty do innovate, it will continue to be rare for those new ideas and pedagogies to move into mainstream practice. New this year to the list of top challenges facing Australian tertiary education is the concern over keeping formal education relevant. Because this challenge is defined as wicked — one that is difficult if not impossible to define, let alone address — articulating it is a complicated endeavour. As the workforce has evolved, calling for a mix of highly technical and communication-centric skill sets, student expectations of the traditional university degree are changing. There is less perceived value in large lecture hall courses and a greater emphasis on campus experiences that invoke more hands-on, immersive learning that either simulate the real world or are part of it. These points and comparisons provide an important context for the main body of the report that follows this summary. There, 12 key technologies are profiled, each on a single page that describes and defines a technology ranked as very important for Australian tertiary education over the next year, two to three years, and four to five years. Each page opens with a carefully crafted definition of the highlighted technology, outlines its educational relevance, points to several real life examples of its current use, and ends with a short list of additional readings for those who wish to learn more. Following those discussions are sections that detail the expert panel’s top ranked trends and challenges, and frame them into categories that illuminate why they are seen as highly influential factors in the adoption or proliferation of any of these technologies over the coming five years. Project and both its global and regional reports as key strategic technology planning references, and it is for that purpose that the 2014 NMC Technology Outlook for Australian Tertiary Education is presented. Australia’s most powerful computer has been officially launched at the opening of the National Computational Infrastructure (NCI) high performance computing centre at The Australian National University (ANU). Named after the Japanese god of thunder, lightning and storms, Raijin can perform the same number of calculations in one hour that would take seven billion people armed with calculators 20 years. The supercomputer is the largest in Australia, and reputedly the 27th largest in the world, and will enable researchers to process vast volumes of data that would otherwise take years to complete, and simply not be possible using desktop computers. Advanced computational methods form an increasingly essential component of high-impact research, in many cases underpinning discoveries that cannot be achieved by other means, as well as underpinning the platform with which to sustain innovation at an internationally competitive level. Capable of running at 1.2 petaflops (a measure of speed)* when performing at its peak, Raijin can complete 170,000 calculations for every human on the face of the Earth, every second. The computer’s speed enables researchers to run complex models. They might, for example, seek to understand the forces that bind the building blocks of our universe, to ‘supercharge’ the photosynthesis of virtual crops or to understand the dynamics of the world’s oceans and their impact on the climate. The operation of the NCI is sustained through co-investment by a number of partner organisations including ANU, CSIRO, the Bureau of Meteorology (BoM), Geoscience Australia and other research-intensive universities supported by the Australian Research Council, the total of which amounts to a further $50 million over four years. * A petaflop is the ability of a computer to do one quadrillion floating point operations per second (FLOPS). Today’s fastest parallel computing operations are capable of petaflop speeds. 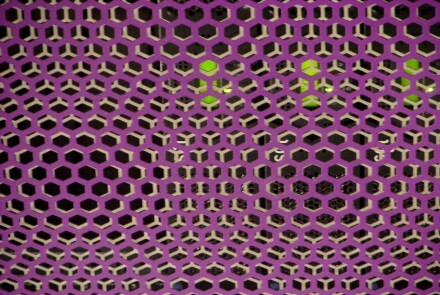 The world’s fastest supercomputer today, Titan, is capable of 20 petaflops. Civil society groups and technology activists have raised concerns about the risks synthetic biology may pose to security, public health and the environment. 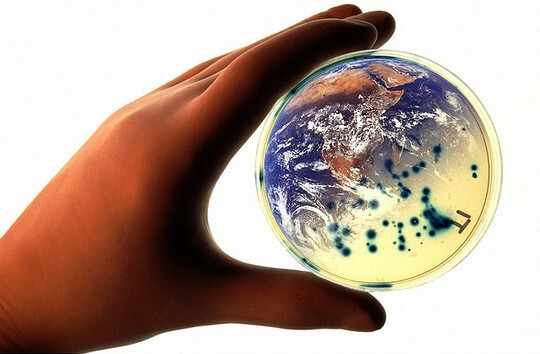 The ETC Group, for instance, is concerned that organisms made with synthetic biology (such as engineered bacteria) could be released into the environment, with unknown effects. They’re also concerned about potential weaponisation of synthetic biology. There has been much controversy over the application of patent law to emerging technologies, with large legal battles over the patentability of information technology and business methods, genetic testing, medical information, and stem cell research. The field of synthetic biology also poses a number of challenges for patent law and public policy. One of the most important questions patent experts are asking is whether synthetic biology is too different from previous biotechnologies to apply existing objections to the patenting of living things. In addition to considering patentability of synthetic biology, patent offices and courts will have to consider the novelty, inventiveness and utility of the claimed inventions and scope of the claims, in light of the scientific knowledge in this field.